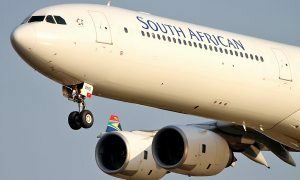 South African Airways has announced a code share agreement with Air China that will enable SAA to jointly market Air China’s newly inaugurated non-stop service between Johannesburg and Beijing as well as points beyond Beijing to Chengdu, Shanghai, Hangzhou and Chongqing. Air China will in turn market SAA’s services from Johannesburg to Cape Town, Durban and Port Elizabeth. 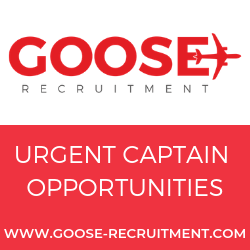 The code share arrangement is already open for sale, for travel effective 29 October 2015. Subsequent to the successful launch of the partnership between Air China and SAA in March 2012 when SAA launched its services to Beijing, the parties have looked into expanding the partnership on Air China’s non-stop flights between Johannesburg and Beijing and onward destinations across China. With this codeshare agreement, travelers will be able to purchase flights from any South African Airways’ destinations onwards to China on one ticket, making for a simpler and seamless journey. “The agreement will effectively enhance flight choices for customers, whether originating in Africa or China, through added connection opportunities, affordable fare options and convenience,” said Sylvain Bosc, SAA’s Chief Commercial Officer. The deal signals a strategic move by Air China to inaugurate services to the African continent and for SAA to further increase its connectivity in its already extensive African footprint. With strategic partnerships such as this one, SAA is able to connect its passengers to even more destinations on the continent and across the globe. This partnership between the flag carriers strengthens historic commercial, political and cultural ties between the two countries. Currently China is South Africa’s largest trade partner. 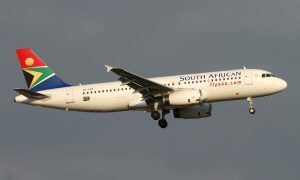 “The enhancement of partnerships between airlines nurtures economic activity, with domestic and regional benefits within the Southern African Development Community (SADC) as well as the international benefit which is realised through BRICS countries’ initiatives, expected to pay dividends both in terms of trade and tourism,” added Bosc. “Being BRICS countries, China and South Africa are having much closer relationships in terms of economy and trade in recent years and China has become the largest trade partner of South Africa. The opening of Beijing-Johannesburg is part of Air China’s important strategic initiatives for promoting exchanges between the two countries and further improve Air China’s global route network with Beijing as its hub. 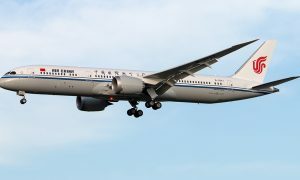 The cooperation between the two flag carriers will help expand each other’s global network so as to provide more convenience and more choices for passengers, and meanwhile, explore more opportunities in the exchange and development of trade and culture between China and South Africa, as well as enhance cooperative partnership between Asia and Africa,” said Wang Mingyuan, Air China’s Senior Vice President.